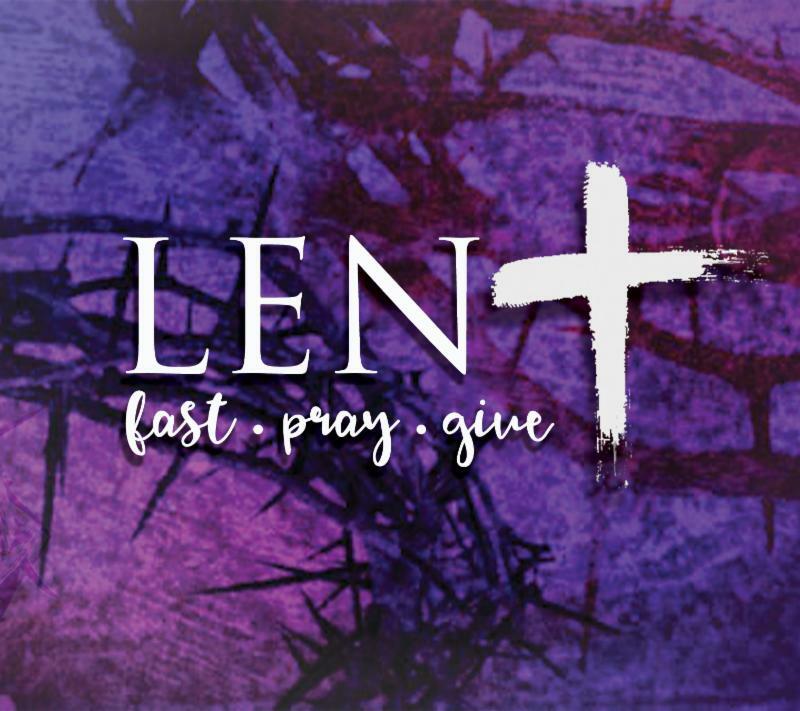 Download a Lenten calendar to help you follow the Way of Love throughout the season of Lent. 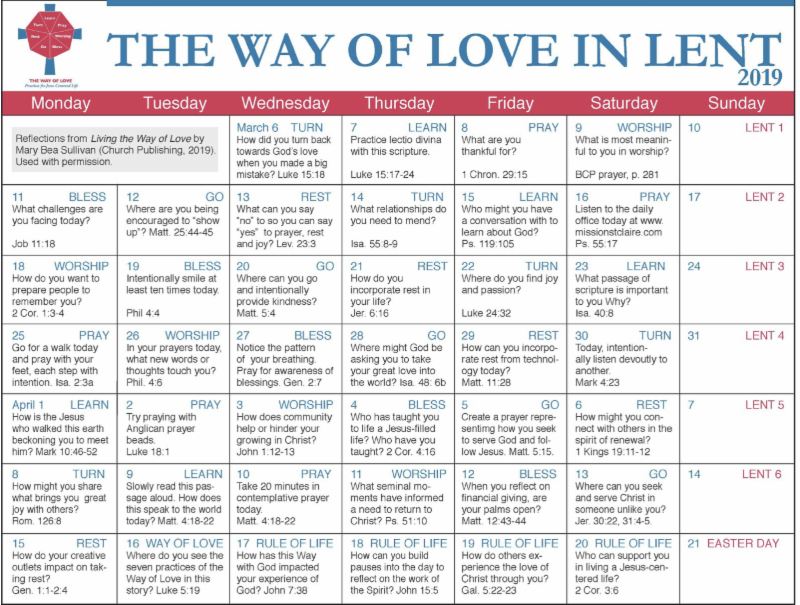 Based on Mary Bea Sullivan ’s book, Living the Way of Love: A 40-Day Devotional put together by Jenifer Lee Gamber and Sharon Ely Pearson as part of the Way of Love Working Group. 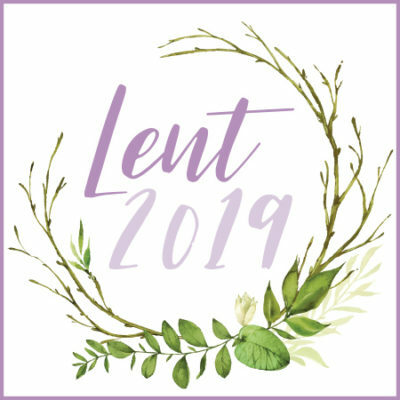 This free download offers daily suggestions for engaging in the seven practices that encompass the Way of Love: Turn, Learn, Pray, Worship, Bless, Go, and Rest for each of the 40 days of Lent, beginning with Ash Wednesday, March 6th. 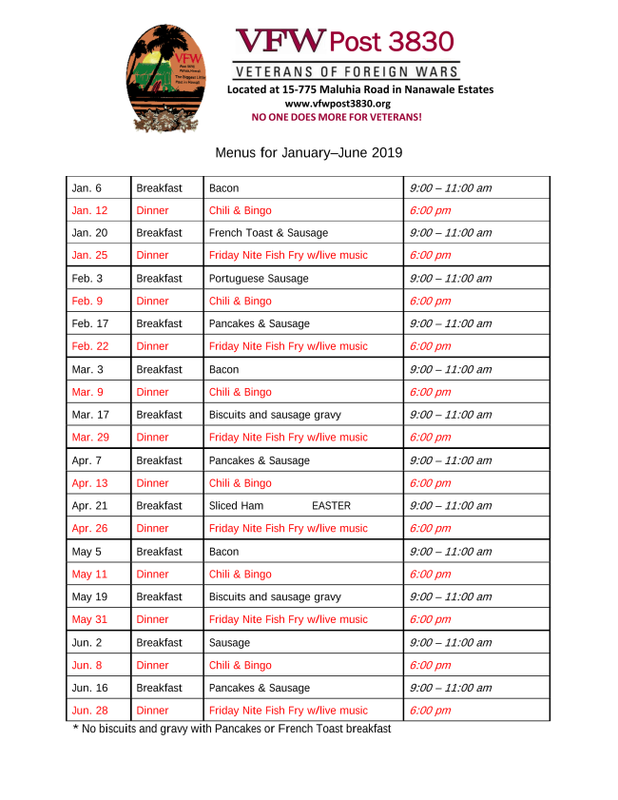 Please find below an outline of pertinent events at the parish for the next month. 7:00PM ICIA - Working toward Affordable Housing @CHA; Contact Pr. Katlin for info and to volunteer. Saturday, March 30th Family Ministry Picnic- All are welcome! 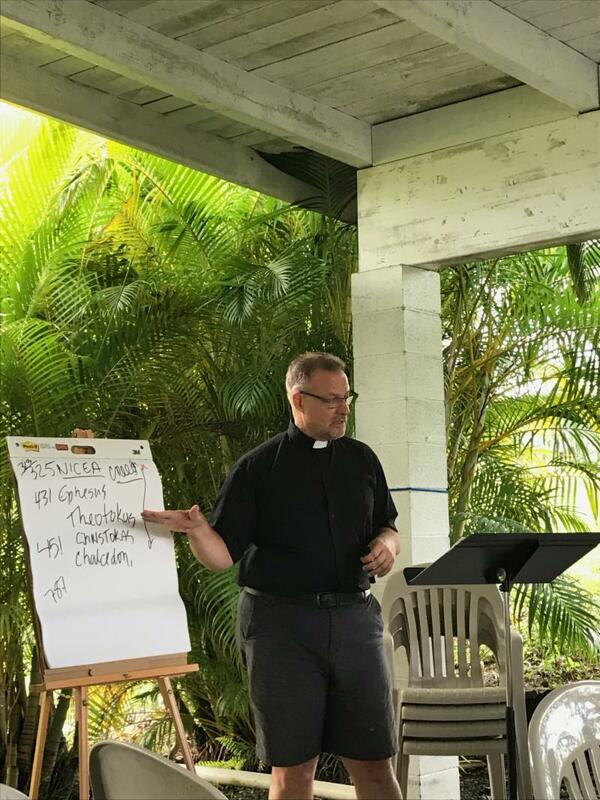 Attend Lenten Formation Classes beginning March 10th. Classes will be held after each Sunday service. 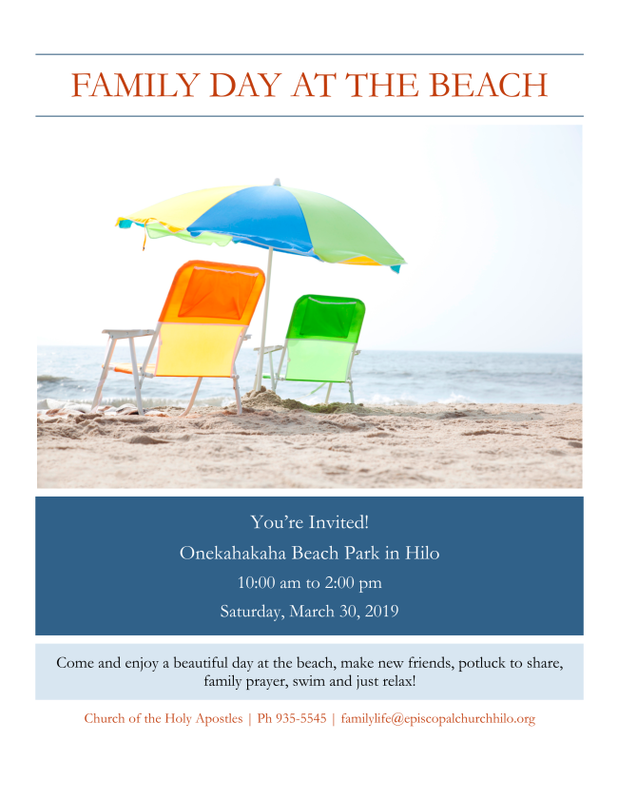 March 30th, 10-2pm: Family Day at the Beach to promote faith and friendship. Potluck - Bring your favorite dish to share. 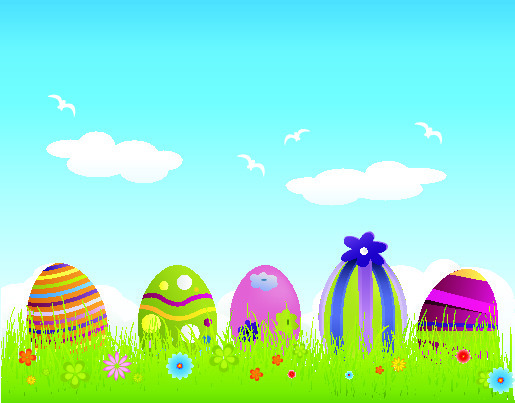 Sunday, April 21 Keiki Activity/ Easter Egg Hunt – pack eggs and hide them. March Green Tip : Polystyrene foam containers (commonly known as Styrofoam) for single use have been banned on the island of Maui. 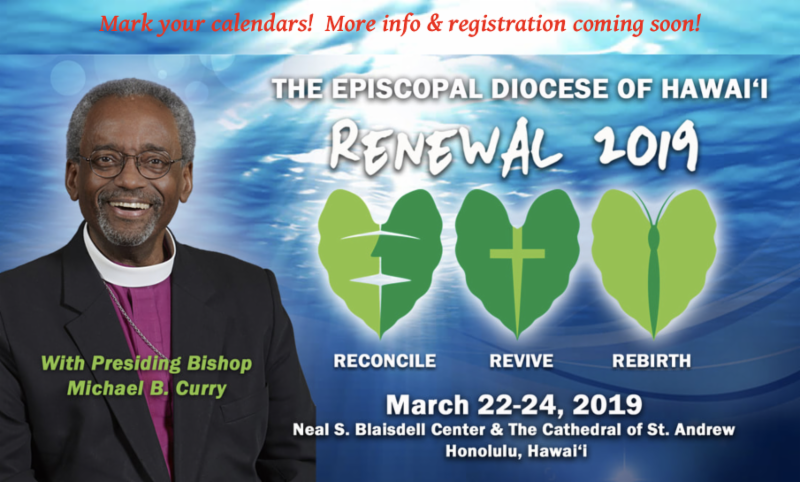 The Big Island will soon follow in July, 2019. These containers are primarily single use, and once in the environment, they are very slow to breakdown and could last for generations… Similarly, plastic forks, spoons and straws are not biodegradable and not recycled in Hawaii. We all know where they end up. They also fragment into small pieces and if they find their way to the ocean, could choke animals who ingest it. How can you help? 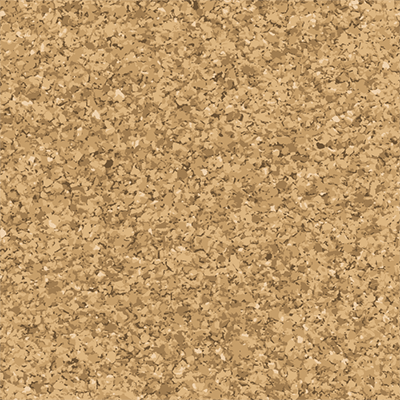 Buy recyclable, compostable or other sustainable alternative products and utensils made from plant materials. Better yet, when eating out, bring your own take out containers to place your order or leftovers in (available at our local Hopaco). 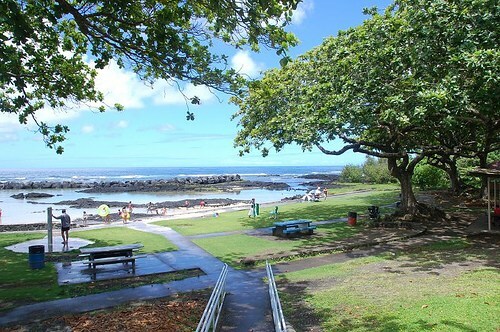 By taking small steps to be more environmental conscious, we will not only protect our island environment, but also help businesses cut their costs, as purchasing compostable containers are more expensive. By the way, if you are carrying your water bottle or coffee mug to church, THANK YOU!!! Please don't forget to thank each other. We appreciate your contribution as our Holy Apostles community works together to make a difference. Still wanting to share items? 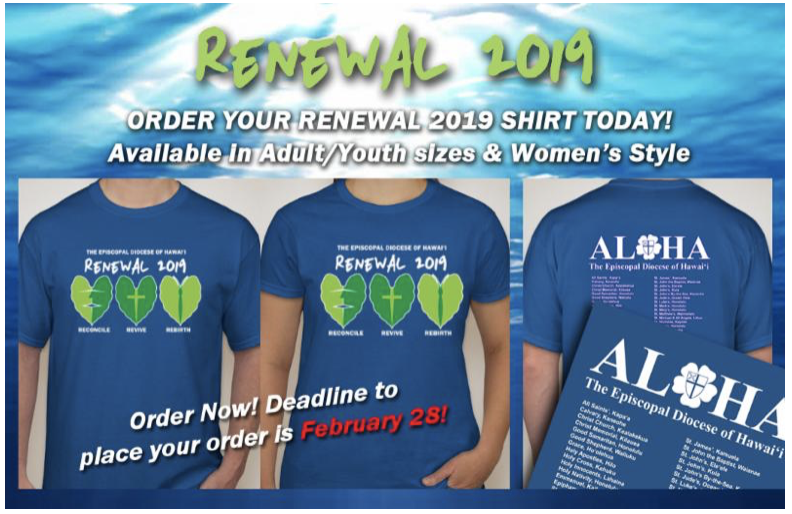 See a starting list of items here . This list will be placed at the back of the church for you to fill out. No exchange of money please. Have fun sharing items! THE SUNDAY PAPER JUNIOR is aimed at younger children (preschool through grade 3 or 4). It features one lesson based on the Gospel. THE SUNDAY PAPER JUNIOR offers big, bold artwork, a simple storyline, an activity page designed to stir children's imaginations and spirituality and children only need a pencil or crayons (no glue or scissors). We encourage you to use THE SUNDAY PAPER JUNIOR in your home today. 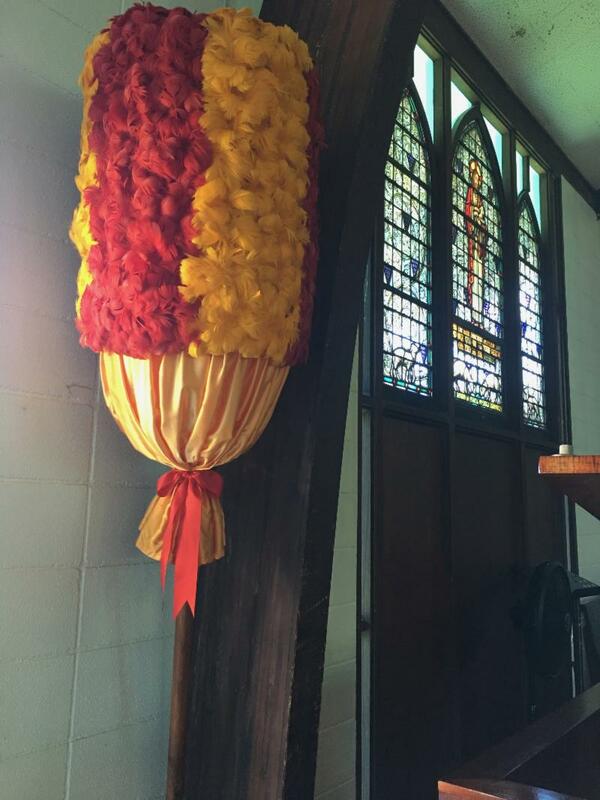 Mahalo to the Tampos 'Ohana for donating these beautiful kāhili to our church. These feather standards are symbolic of royalty. The pair was made by Roberto Alapaki Tampos, a cultural practitioner and father of Evette and Robert Tampos. He learned from the master feather crafter Mary Kekuewa. Evette believed that the Church of Holy Apostles would be the best home for these kāhili as an expression of her Dadʻs gratitude for taking care of both Evette and her brother. The kāhili would also serve to honor the legacy of Queen Emma and King Kamehameha IV. Advance care planning can help ensure that family, friends and caregivers understand their loved one's health care choices.